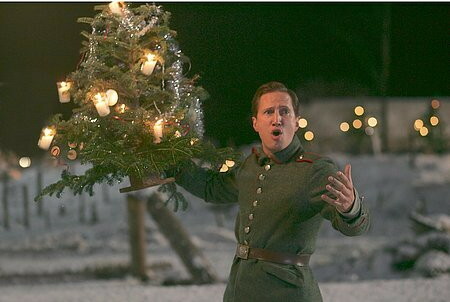 It will soon be Christmas and instead of the government shutdown or the depraved and irresponsible actions of President Trump, I am going to focus on Christmas, particularly musical expressions, as well as meditations about my own faith journey as well as the experience of soldiers during the holidays. In the midst of everything happening in Washington D.C. and the potential crises that could plunge the world into war in the coming months it still is important to focus on the holidays. Since I am a Christian I share about Christmas without any shame, even as I respect and honor other people’s traditions and expressions of faith. 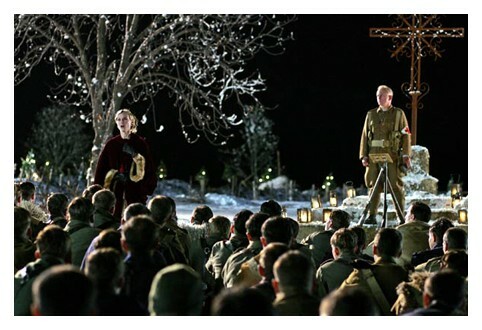 So here is a post about the song Silent Night. 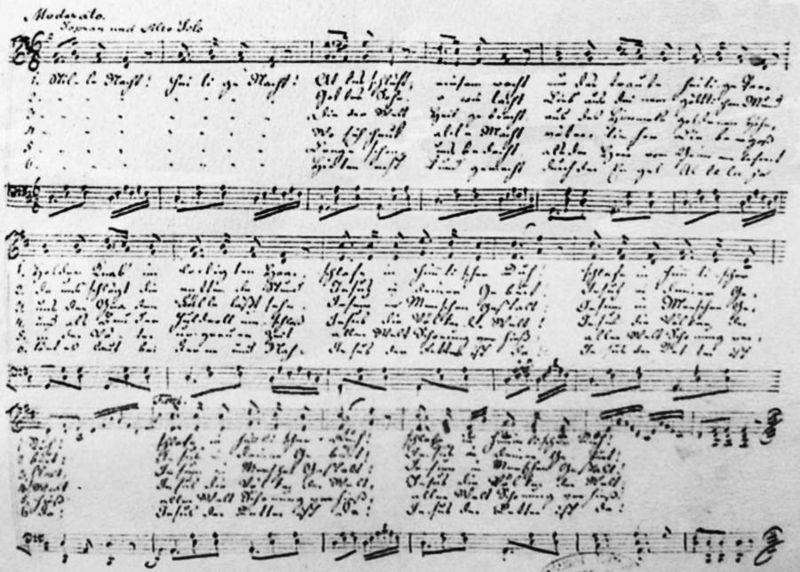 In 1816 a young Austrian Catholic Priest in a small parish near Salzburg penned the lyrics to a hymn that even in the midst of war can bind people together. 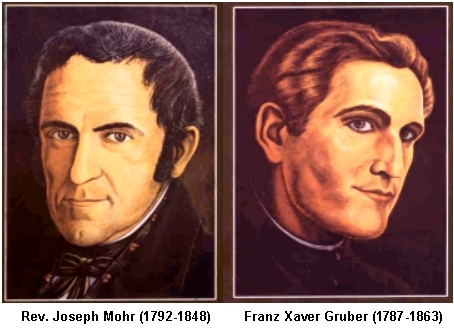 Father Joseph Mohr after moving to another parish in Oberndorf took those lyrics to Franz Gruber a nearby schoolmaster and organist. Mohr asked Gruber to put the words to music, specifically with a guitar accompaniment. 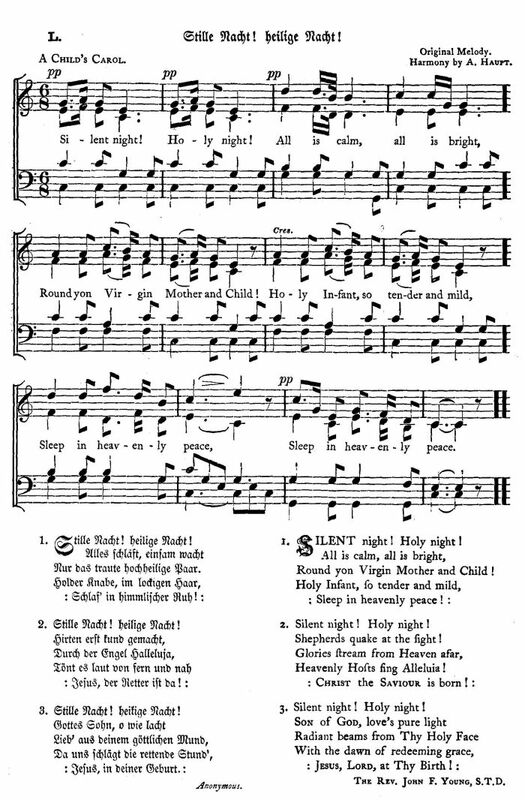 Together the performed the song at Oberndorf’s parish church’s Vigil Mass on December 24th 1818. There are a number of fanciful apocryphal stories about why the song was written and performed on the guitar, including one about the bellows of the church organ having been eaten by mice, but these are akin to sensationalist tabloid journalism. 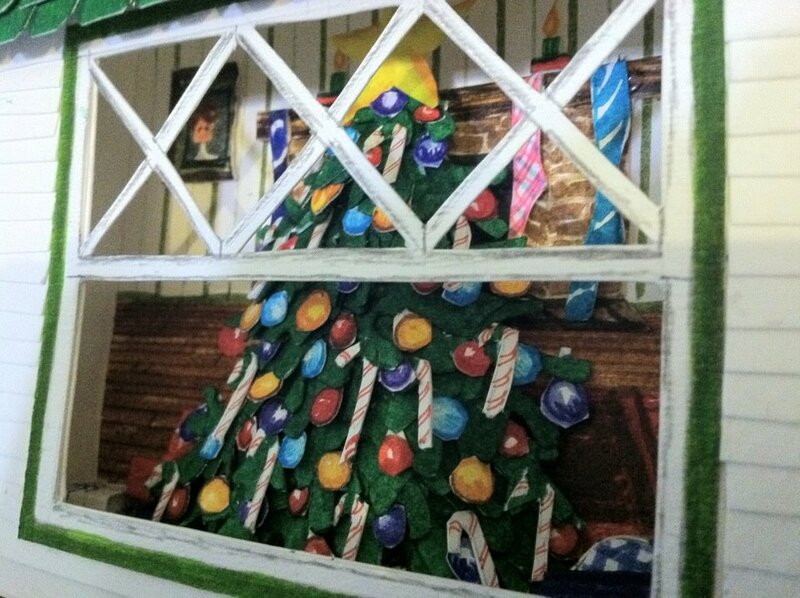 The simple truth is that Mohr sought out Gruber to arrange the song for guitar to be sung by two people accompanied by a choir for that Christmas Vigil Mass. , Da uns schlägt die rettende Stund’. The song rapidly grew in popularity and spread quickly in Europe. 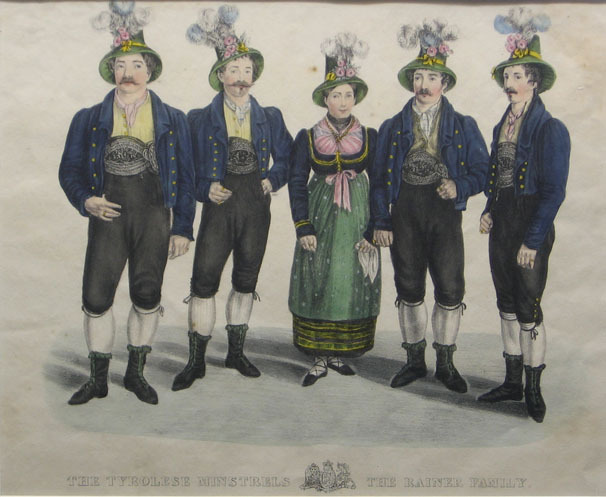 A traveling Austrian singing group, the Rainer family performed it in front of Austrian Emperor Franz I and Tsar Alexander I. They also gave its first American performance in New York outside the famed Trinity Church in 1839. I continued to grow in popularity and was translated into many languages, now numbering about 140. The American Episcopalian Bishop John Freeman Young translated it into English in 1863. It is his version that is most used today in English speaking lands today. A website called the Silent Night Web http://silentnight.web.za has 227 versions of the song in 142 languages on its site. 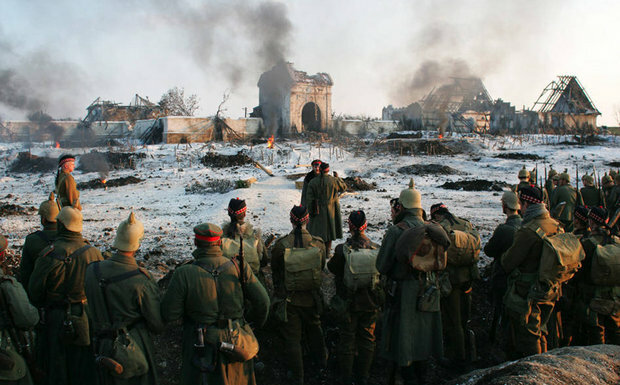 Silent Night is the most simple and profound hymn of the incarnation and because of its simplicity it has become a song that points to an end of war, an end of suffering, and the beginning of new life. 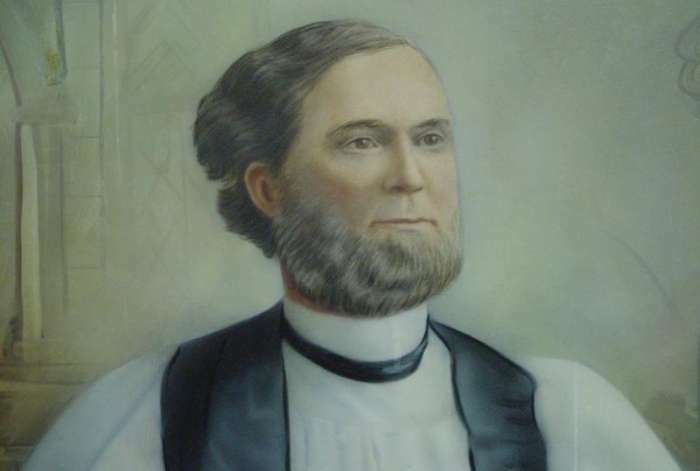 Father Mohr refused to profit from his song and donated his proceeds to care for the elderly and educate children in the parishes and towns he served. He died in 1848. I find that the song will bring me to tears fast than almost any song. It is one that I have sung in English, German and French. 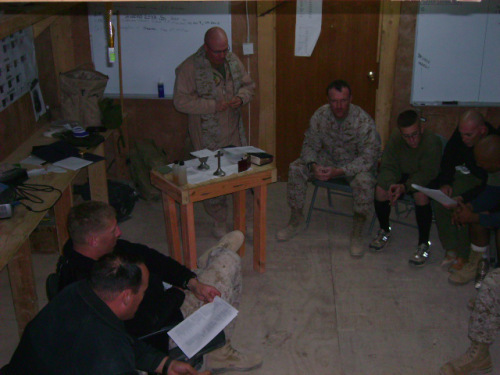 In my travels as a military Chaplain have used on every Christmas Eucharist celebration that I have done, including at two lonely COPS in Iraq, COP South and COP North on the Syrian Border in Al Anbar Province. Likewise I have celebrated joint ecumenical Christmas services with German military chaplains and civilian clergy. Last Friday I did that again for the members of the German NATO contingent at my chapel. It is a simple and humble song. It is performed the world over by the great and small, the famous and the unknown. 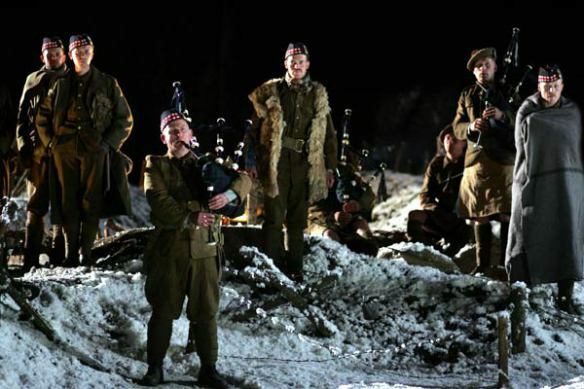 It is a song that in two world wars has stopped the violence as opposing soldiers paused to sing it together each in their own language. 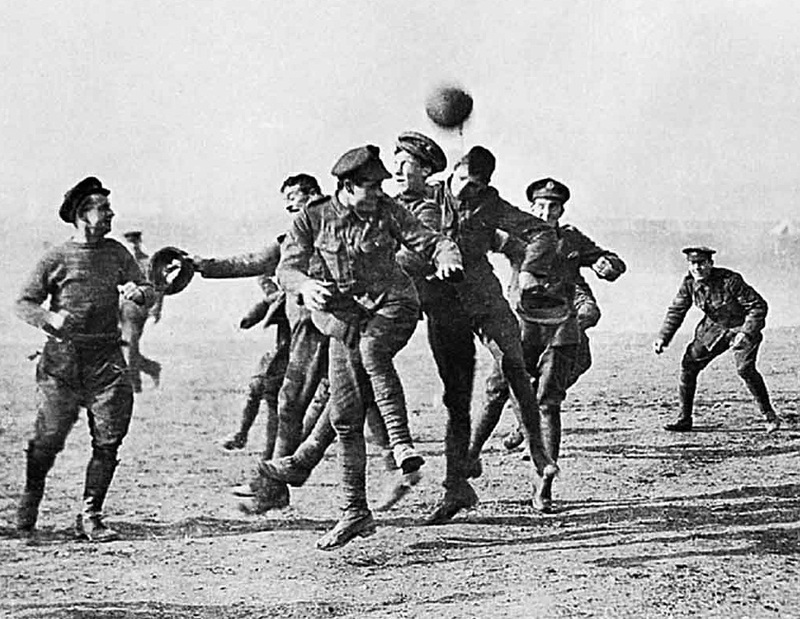 This happened during the Christmas Truce truce of 1914 as well as in 1944 along the Western Front during the Battle of the Bulge. 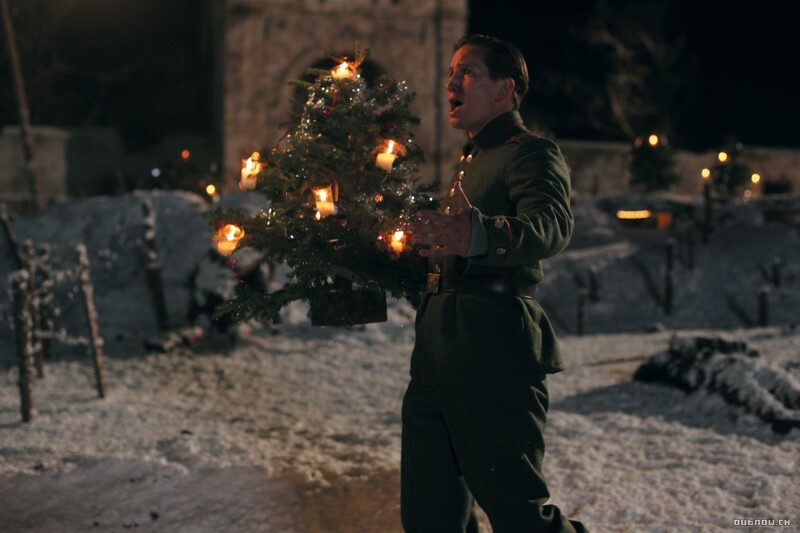 It will soon be Christmas and I am going to focus on that, particularly musical expressions as well as meditations about my own faith journey as well as the experience of soldiers during the holidays. I find that the song will bring me to tears fast than almost any song. It is one that I have sung in English, German and French. In my travels as a military Chaplain have used on every Christmas Eucharist celebration that I have done, including at two lonely COPS in Iraq, COP South and COP North on the Syrian Border in Al Anbar Province. Likewise I have celebrated joint ecumenical Christmas services with German military chaplains and civilian clergy.